Please know of our heartfelt condolences on the loss of a loved one. Our entire Parish Family joins with you and your family in prayer that God will give you peace in the midst of your grief. Here at St. John of God, we wish to show our support for you during this very difficult time, and to assist you in making arrangements for your departed loved one. The Church, through its Funeral Rites, commends those who have died to God's merciful love and affirms and expresses the union of the Church on earth with the Church in heaven. Though separated from the living, the dead are still one with the community of believers here on earth and benefit from our prayers and intercession. In the Funeral Rites, we proclaim our belief that all the faithful will be raised up and reunited in the new heavens and a new earth, where death will be no more. The funeral director will provide some assistance in planning the Liturgy, but we would also like to suggest that you meet with Fr. Babiczuk as well especially since in most cases he will be celebrating the liturgy. This can be especially helpful in planning the homily. Please call our Parish Secretary, Lydia, to make an appointment with him. The purpose of this page is to assist you in planning a Funeral Mass according to the Rite of the Roman Catholic Church. We invite you to participate in the planning of the Funeral Mass. While there is a specific structure to the Funeral Mass, there are opportunities within that structure to make specific choices including the Scripture Readings and hymns as well as those who will actively participate in the Mass. These various options are explained here. Please take a few moments to read through this page. There is a form that you can print on line with your selections to make planning the liturgy easier. You can give your selection to Fr. Babiczuk in the rectory if you are meeting with him, at the wake, or you can give them to our Parish Secretary to give to him. Click here for the Funeral Planner Form. When the family and friends, accompanying the body of the deceased, have arrived at the church, the priest and other ministers greet them at the door of the church. As a reminder of the deceased person's entrance into the faith through Baptism, the casket containing the remains of the deceased is sprinkled with holy water and a white pall is placed over it. It is encouraged that members of the family assist in the placing of the pall. A member of the family may place a symbol of Christian life, e.g., a cross, a bible, the Book of Gospels, on top of the pall at this time. The funeral procession then proceeds into the church as a hymn is sung. Family and friends are invited to take their seats in the front of the church and remain standing for the opening prayer of the Mass. The community now gathers to listen to God's Word as proclaimed in Holy Scripture. Generally, three readings are proclaimed: the first from the Old Testament (Hebrew Scriptures), the second from the New Testament (Letters) and, finally, the Gospel. We encourage you to choose the first and second readings. The gospel is usually chosen by the celebrant because his homily is based upon it, but the family is welcome to make some suggestions. As a rule the readings including the gospel are chosen from the Rite for Funerals. If there is another reading from Scripture that you would like to suggest, please discuss this with Fr. Babiczuk. 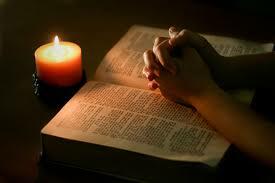 It is appropriate to have members of the family or friends read the selected Scripture passages at Mass. It is preferable to have a different reader for each of the first two readings. If there is no one able or willing to read at Mass, a lector will be available from the parish community. The response to the first reading is a psalm which is usually sung. The response is never a song unless that song is a psalm. If you want a particular psalm sung please convey this to the Funeral Director who will convey it to the Parish, or speak with Fr. Babiczuk directly. The homily follows the Scripture readings and is given by the priest or deacon. The purpose of the homily is to focus on God's compassionate love and on the Easter mystery of death leading to resurrection and how we are called to live in the light of this mystery of our faith.If you have any particular suggestions to offer in this regard in light of the life of faith of the deceased, please speak with the celebrant who in most cases will be Fr. Babiczuk which is why it is good to meet with him. After the homily, the General Intercessions (Prayer of the Faithful) are offered. Family members are welcome to read these as well. Possible choice are found below. You may adapt these to reflect the particular circumstances of the deceased. Please consult with Fr. Babiczuk in this regard. Family members are invited to bring the gifts of bread and wine to be received by the priest. These are located on a small table near the front doors of the Church. The Funeral Director will assist the family members at the appropriate time. Please indicate on the Selection Card who will bring up the gifts, and how many bearers there will be. It is ideal to have two gift bearers, but up to four are possible. The usual order of Mass follows. After the Eucharistic Prayer, we recite the Lord's Prayer, exchange a sign of peace and prepare to receive Holy Communion. Those of the Catholic faith, who are spiritually prepared to receive our Lord in the Sacrament of the Eucharist, are invited to come forward down the center aisle and return by the side aisle. Those who are not receiving are asked to remain at their seats during this time and offer a "Spiritual Communion" for the intention of the deceased. Following the Prayer after Communion, words of remembrance (eulogy) may be offered. By no means is this required. The parish policy is that only ONE person is invited to offer these words. These remarks should be 3-5 minutes in length and must be written down since this is obviously an emotional and difficult time. They are to be sent to the priest celebrating the Mass for review the day before the funeral Mass. The easiest way to do this is by email (fbabiczuk@sjogsomerset.org), or they can be brought to the rectory. While only one person will offer the words of remembrance, family members should be invited to share in the preparation. Their shared memories often form a beautiful picture of the deceased person. The words should speak of the life of the deceased and how he/she bore witness to the faith through their example, practice and living of the faith in their daily lives. While a humorous story or two regarding the life of the person could be shared, the remarks should not come across as a comedy act or a “roast” of the deceased. It should never be forgotten that this time in church is first and foremost, the Sacred Celebration of the Mass, offered for the repose of the soul of the deceased. It should also be noted that these Words of Remembrance should reflect the faith we have just celebrated in word and sacrament. The Mass is offered to bring hope and comfort to the family and friends of the deceased. Care should be taken to continue providing this vision of our faith through the Words of Remembrance. These remarks must always be in keeping with the sanctity and reverence of the Mass that is being offered for the deceased. In the event that the family wishes to offer reflections not in keeping with the above guidelines, speak with the funeral director for a more appropriate time, perhaps during the wake. After a brief invitation to pray in silence, the remains of the deceased are reverently incensed and the Prayer of Commendation is offered. The priest and assisting ministers precede the casket/remains; the family and friends follow. The pall is removed from the casket by the Funeral Director at the door. If a Christian symbol was placed on the casket, it would be removed at this time, and given to the family. An appropriate hymn is sung. Our Choir Director and principal organist, Mr Tobie Montie, is not available to play funerals during the week. He is occasionally available on a Saturday. We use a variety of musicians for funerals depending upon who is available. We usually have an organist who also sings. It is possible to bring in your own organist and singer as long as they are familiar with the Catholic, funeral liturgy. You should inform the funeral director that you want to bring in your own organist and/or singer when you make arrangements so that they can tell the Parish not to automatically contact a musicians. If you do want to bring in your own organist and/or singer, you must first consult with Fr. Babiczuk. In general anyone who plays in a Catholic Church is acceptable. Like a regular Sunday Mass, the music chosen at a Funeral Mass is meant to encourage the congregation to participate. If there are any particular hymns that you would like sung at the Funeral Mass, you should mentioned them to the Funeral Director at the time of making arrangements who will will convey them to the Parish. Only hymns and songs of a Sacred nature will be allowed for the Funeral Mass. Secular songs are not allowed in the funeral liturgy (or any liturgy). Secular songs loved by the deceased can be played at the Funeral home or at the cemetery. If you have selected a sacred song that is not in our hymnal, it is the responsibility of the family to get the sheet music to the musicians in time for them to learn it. It is not the responsibility of the parish or the musicians to secure the sheet music for the Mass if you are selecting a song not in our hymnal, Breaking Bread. Sometimes the request is made for a family member or friend to sing at the funeral. This request should be conveyed to the Funeral Director at the time of making the arrangements who will convey it to the Parish. The family should also consult directly with Father Babiczuk to finalize these arrangements. Usually, the outside singer must arrive at the church at least 30 minutes before the Mass to practice with the organist. While the Church continues to hold a preference for corporeal burial, cremation has become part of Catholic practice in the United States and the around the world. The Church's reverence and care for the body grows out of a reverence and concern for the person whom the Church now commends to the care of God. This is the body once washed in baptism, anointed with the oil of salvation, and fed with the bread of life. This is the body whose hands clothed the poor and embraced the sorrowing. The human body is so inextricably associated with the human person that it is hard to think of a human person apart from his or her body. It is preferred that the wake and Funeral Mass precede cremation of the body. However, when cremation has preceded the Mass, the remains of the deceased may be carried in and placed on a small table which will be in the front of the altar. It is assumed, in keeping with the teachings of the Catholic Church, that cremated remains of a loved one are to be buried in keeping with the dignity and reverence of the body. If neither the body nor the cremated remains will be present at the Mass, a Memorial Mass, not a Funeral Mass, will be celebrated. Please speak with the priest if there are any questions. As Catholics, we celebrate the Funeral Rites to offer worship, praise and thanksgiving to God for the gift of a life which has now returned to God, the author of life and the hope of the just. It is our prayer that our assistance and presence as a Church to your family may lighten the burden of your loss and assure you, with the confidence that only faith can give, that your loved one will one day share in the promise of life eternal for all who place their lives in His hands.